Last week it was a pleasant 19 degrees walking down London’s Oxford Street. This morning in Riyadh it’s 43 and climbing. It's also revoltingly sandy and windy. When I run my finger along our dining table I feel a fine, gritty layer of desert dust. In another few days I could probably write my name in it. Sadly, the two Philippine girls who used to come once a week and do our housework have fled the country. I could really do with their quick, slick two-hours-and-it’s-all-done-for-another-week kind of cleaning. Like many others, they’ve left because they’re terrified of the Saudi government’s determination to hunt out and send home migrant workers who don’t have valid work permits. ‘Not valid’ might mean an expired visa, working in a job other than that specified on the work permit, or working for someone other than the Saudi who sponsored you into the country. A few months ago the police set up road blocks for random searches. If you were found to be in breach of your work permit, it was instant jail and then a flight home with scarcely time to catch breath. There'd be no time to collect belongings, so you'd lose everything you owned. The word draconian doesn't even begin to describe such tactics. The effects were immediate. The port in Jeddah effectively shut down because there were no workers to unload cargo. They were either in hiding or in jail. In Riyadh the roads were strangely quiet. Those employed as drivers, typically migrant workers, were too scared to venture out. Taxis disappeared overnight because many taxi drivers here work with questionable visas. But now there’s been a three month period of grace which ends on July 3. After this the searches, jail and deportation will start again. Unless of course, the imminent arrival of Ramadan, the month of fasting which starts a few days later, is used as an excuse to delay the restart. The ramifications of all this are huge. For instance, as of May 20, 75,000 Indians had registered with the Indian Embassy in Riyadh and the Consulate of Jeddah so they could be issued with ‘emergency certificates’ and safely return back home. Saudi Arabia has over two million Indians. They, like seven million other foreign workers in Saudi Arabia, sweep roads, clean offices, staff coffee shops, drive the cars that women are banned from driving, and provide much of the manpower on Saudi’s vast construction projects. To say they are the mainstay of the Saudi work force is no understatement. The rationale behind all this is the government’s desire to have more Saudi nationals in the work force. This is known as Saudization. Saudi’s Nitaqat (labour) law makes it mandatory for local companies to hire one Saudi national for every 10 migrant workers, or have a minimum percentage of Saudi national employees. 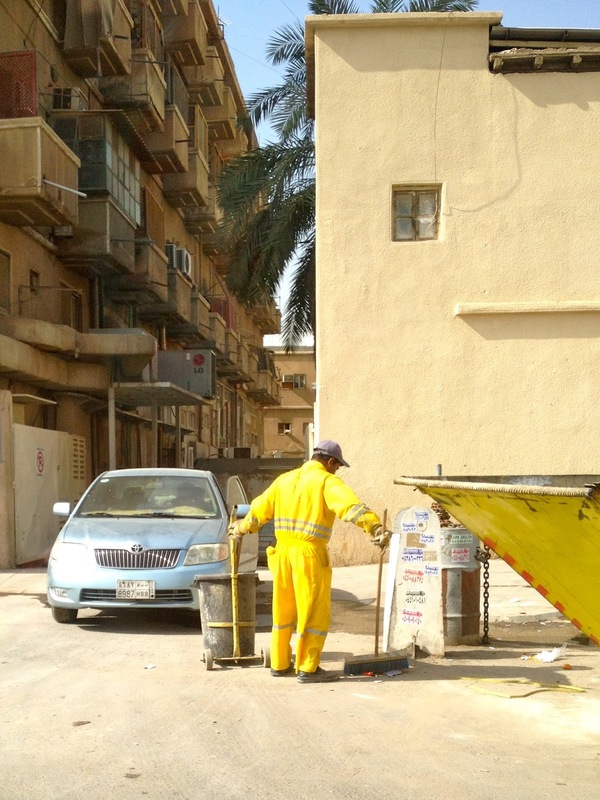 Unskilled expatriate workers are essentially being forced to leave in the hope that Saudi nationals will take on the jobs they leave behind. 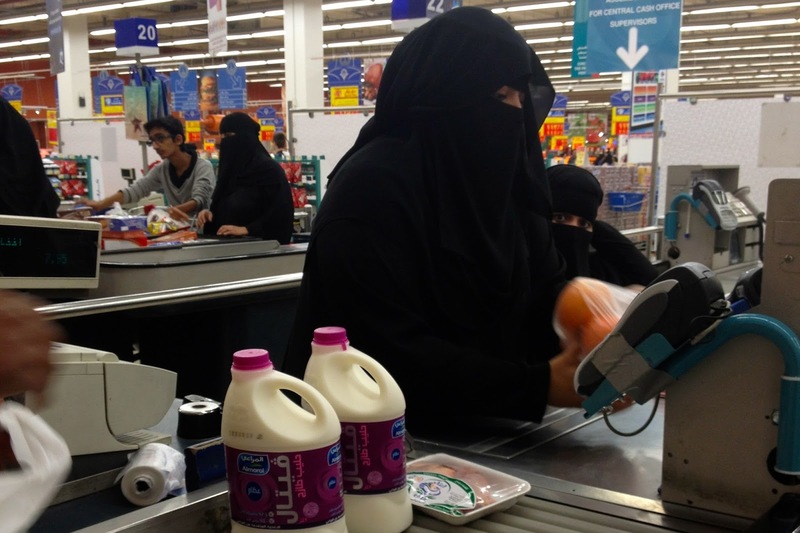 In Grenada Mall’s Carrefour supermarket there are now Saudi women operating some of the checkouts. This is undoubtedly progress but many of us remain skeptical about the likelihood of young Saudis donning hard hats and climbing ladders in building sites, or unloading cargo ships in Jeddah. At the other end of the employment spectrum, there is also a serious shortage of Saudis with the necessary skills or experience required to take up more senior company roles. July 3 is just around the corner and there is growing anxiety among both foreign workers, and their Saudi employers who have no desire to pay the hefty fines they are likely to incur for hiring them illegally. Yet as I returned through the airport last night, I couldn’t help but notice the long queues of newly arriving unskilled migrant workers waiting to be processed so that they could enter the country and legally take up the work that their fellows were being sent home for doing illegally. As I was whisked past them and through immigration, I found myself wondering where this would all end up, while at the same time seeing the grim irony of it all.